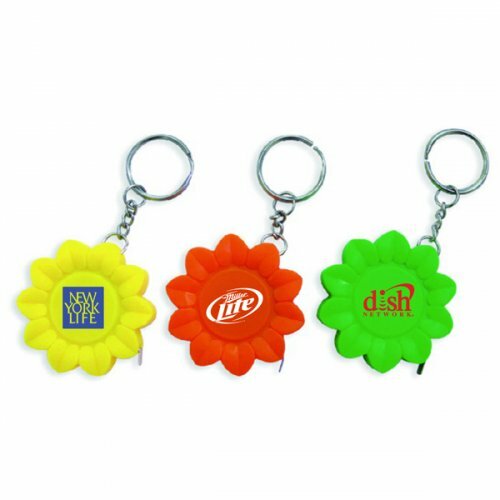 Custom sunflower shape tape measure eco friendly keychain infuses interest in your campaign with its unique design and takes you extremely closer to your customer. Equipped with a 39” inch tape measure and reliable key holder, this flower shape keychain can be availed in brilliant colors. Perfect for marketing grocery stores, farms, nature clubs, women and kid – stuff and many more. We offer attractive price savings on wholesale sunflower shape tape measure eco friendly keychain. It can be offered as an individual gift during tradeshows or marketing events or included with gift bags. 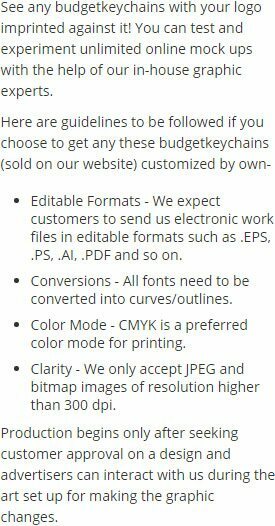 Request a quote to know discounts that you can avail by ordering this beautiful personalized sunflower shape tape measure eco friendly keychain. Features – Sunflower shape tape measure with level and key chain. Solid ABS construction with 39" metal tape measure. Large imprint area. Product Size – 1 5/8". Available Colors - Black, Green, Blue, Red, Yellow and White.